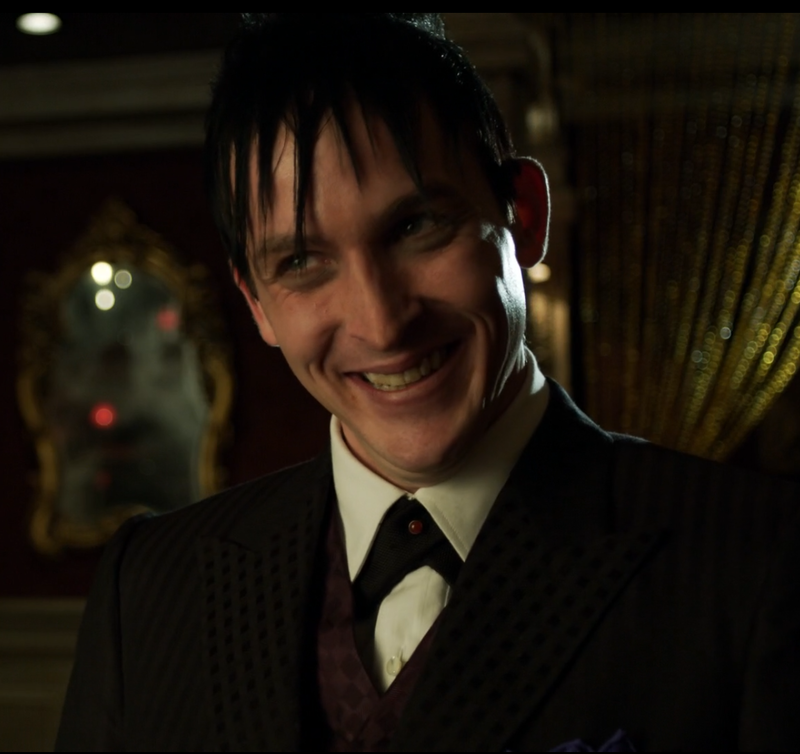 Penguin/Oswald Cobblepot is my favorite Batman villain because he isn’t dastardly for the sake of being dastardly – he possesses angles that make him relatable, strange as it sounds. Likewise, he manages to avoid being a trope, a character type that gets recycled time and again without variation. Nearly any version of Oswald I’ve seen, both on page and on screen, possesses a unique approach yet remains true to the character’s inherent spirit. And the same holds true when it comes to “Gotham”‘s incarnation of Oswald Cobblepot (played ingeniously by Robin Lord Taylor). In an earlier character exposition, I explored various aspects of Oswald’s character, particularly his placement on the villains’ scale of badness. Overall, while he is too morally flawed to be labeled bad, he is nowhere near being evil since snitching and eliminating some of his criminal competition could be seen as good though his motivations are far from good. Likewise, Oswald possesses redeeming qualities such as a brilliant mind and his intuition, both of which are normally not put to moral use but can cause good to occur by proxy. 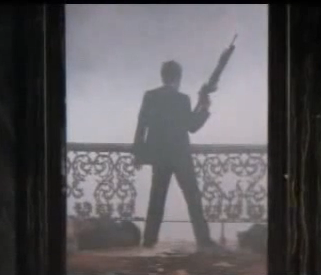 But what I really want to spend most of my time doing here is comparing Oswald to another iconic fictional gangster. 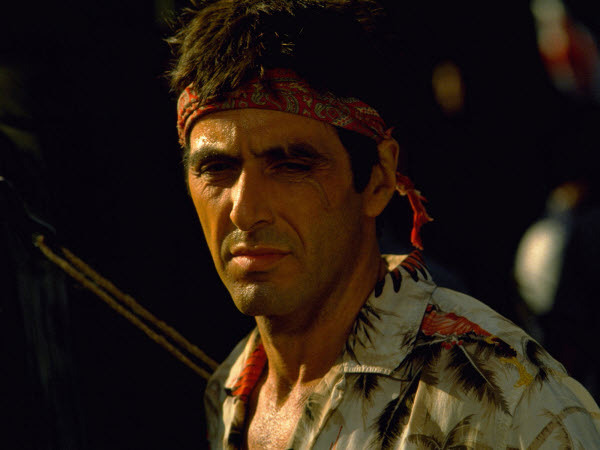 Enter Scarface’s own Tony Montana, brought brilliantly to life by Al Pacino. Personality and Appearance: Both Tony and Oswald are calculating, occasionally heartless, power-craving, and know how to play people to get what they want in different ways and measures. In order to achieve those ends, they are graced with varying degrees of foresight, the ability to predict events (not like a prophet, but like a planner). Likewise, they have big personalities and stand out in their own unique ways. This is first established by their respective appearances as they carry on the tradition that power decorates itself. 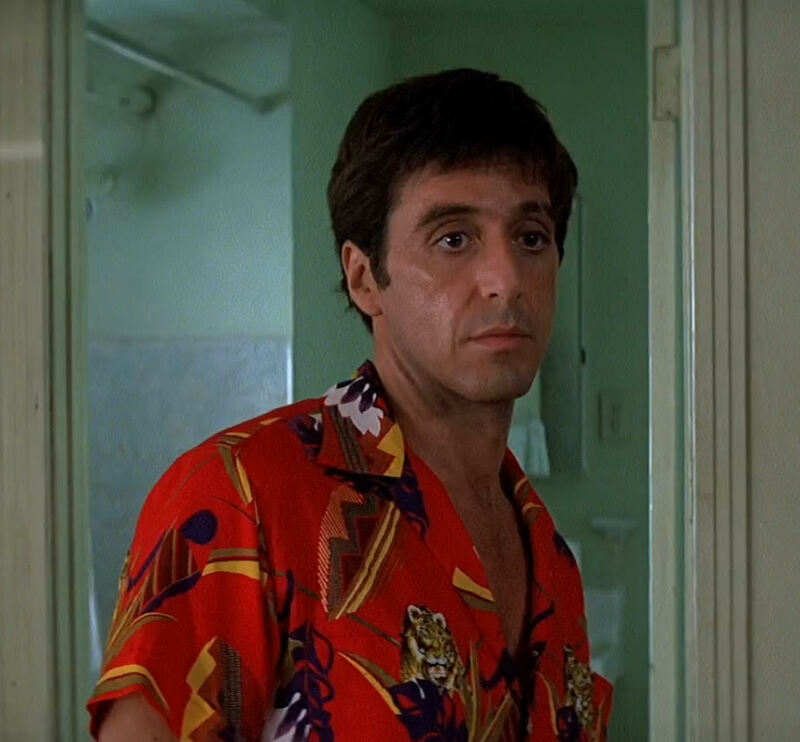 As Manny remarks to Tony after seeing some well-dressed kingpins, “That’s style. Flash. Pizzazz.” Looks get you noticed, and that holds true for both characters albeit looks only carry them so far. Their business prowess, cunning, and sheer nerve earn them respect, which makes them men to be reckoned with. Similarly, both have an eye for opulence though Tony is more large-scale (you kind of have to be to own a gold-adorned bathroom, a tiger, and a throne). Oswald isn’t quite so grandiose but his sense of style projects Old World class. Though I certainly wouldn’t complain if he decided to buy himself a monograph throne. Family/Background: Tony and Oswald (at least the “Gotham” version) hail from immigrant families, making them outsiders in their respective social circles. Likewise, they have a physical deformity, sport nicknames calling to mind these defects, and were temporarily employed in menial work as dishwashers. In terms of family, they only have their mothers though it’s fair to say that both moms aren’t entirely enlightened about their respective son’s dealings. 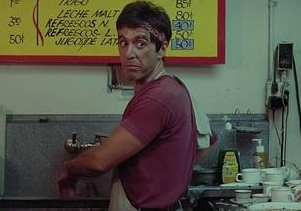 Tony’s mom suspects he’s up to no good and calls him a bum. Gertrude thinks Oswald is involved with things he ought not to be but, to her credit, doesn’t verbally crucify her own son. 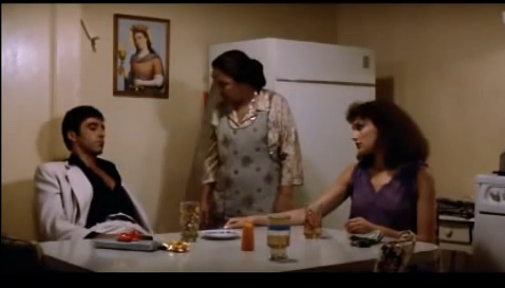 But both mothers are manipulated by their sons who dictate what sort of impression they leave. 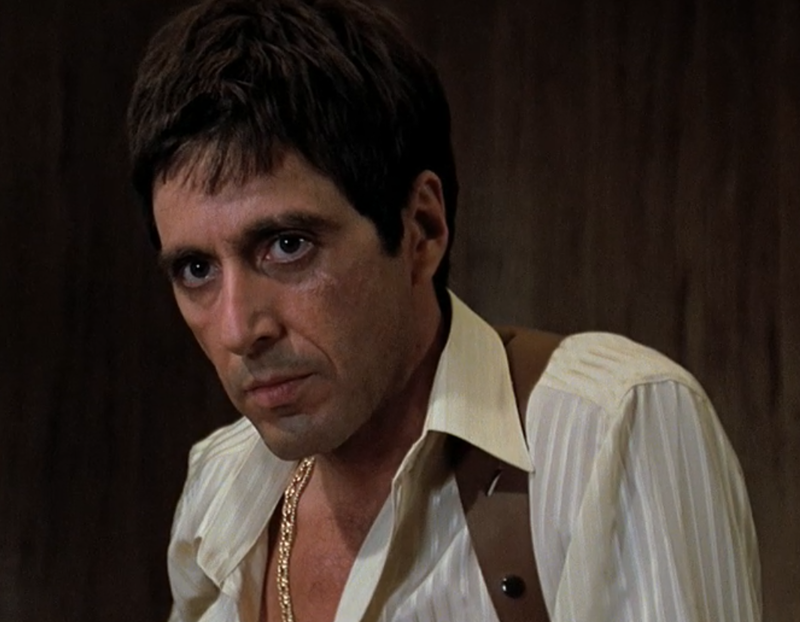 Tony’s means of manipulation is money: he figures handing his mother a wad of cash is enough to make her think he’s a great guy, which works against him. Oswald uses rhetoric and half-truths to manipulate his mother, assuring her that his dealings are strictly business and that he’s “just a nightclub owner,” which seems to deflect too many questions. As callous as this seems, Tony and Oswald veil their true dealings as a means to protect their mothers: Tony lies to the feds, telling them his mother is dead (when she isn’t), and Oswald doesn’t tell the whole truth concerning what and who he’s involved with (though part of this might also be to keep his mother on his side as she is his one and only ally, Jim Gordon notwithstanding). This forms a barrier between each son and mother, shielding her from his respective underworld dealings and any immediate consequences of his decisions and actions. Needless to say, the family dynamics are drastically different. Tony is clearly estranged from his mom as when they interact, they keep their distance as if neither one cares to get too close to the other. There is no visible care or love aside from Tony’s mother’s chastising him, which is her way of trying to steer him straight. In contrast, Gertrude loves and cares for Oswald but maybe a little too much as she sometimes seems to refuse to accept the fact that he is an adult, not a little boy. (In fact, she often calls Oswald her “boy,” a sweet but still diminutive term that implies she sees him as a child when he’s clearly not.) Where Tony’s mother displays tough love that’s a little too tough, Gertrude doesn’t display enough toughness at times though she has put Oswald on the spot and demand he be honest about what he’s really up to (though Oswald’s lies are convincing enough that she remains in the dark, at least for a time). The parallel in dialogue here is interesting. Oswald has a chance to at least say goodbye to his mother and their last words to each other are tender. But Gina’s parting words to Tony are a violent tirade impacted by Tony’s earlier killing of Many, his friend and her husband. Also, while Oswald was reunited with Gertrude prior to her demise, Tony can only assure his sister’s corpse that, rather prophetically, he will reunite with her (though this will be after death as Tony meets his fate soon after). Hence, the death of a family member deeply impacts both characters and drives them to action but the outcomes and events leading up to these climactic moments are notably different. Modus Operandi: In terms of the lengths and methods Tony and Oswald go to secure power, both start by engaging in crude violence. Their first kills are done with a knife and committed as a means to gain something they needed for “survival” (a green card for Tony and a sandwich for Oswald – not a direct comparison but it kind of works). While not utterly heartless, these gents possess a numbness to violence as they’re willing to kill and have others killed for the sake of advancing their cause. Also, while they have associates, they have no genuine friends; hence, these minions’ only functions are to carry out any dirty work and extend to their respective crime boss an impression of power. Seriously, check out the side-by-side photos above and tell me Tony and Oswald aren’t exuding a certain swagger factor befitting a crime boss. If you’re not the slightest bit intimidated by these gents, then I guess we just don’t share the same generic material. Tony and Oswald also make moves to take over from older, more established power-holders. For Tony, this meant eliminating Frank Lopez, with whom he attaches himself similar to how Oswald attaches himself to Falcone and Maroni. Tony appeases Lopez by delivering drugs without expectation of payment, and this act of meekness puts him in Lopez’s good graces. 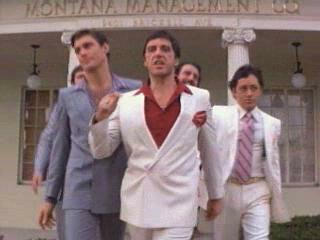 Later, Tony appeals to Sosa as he talks business. 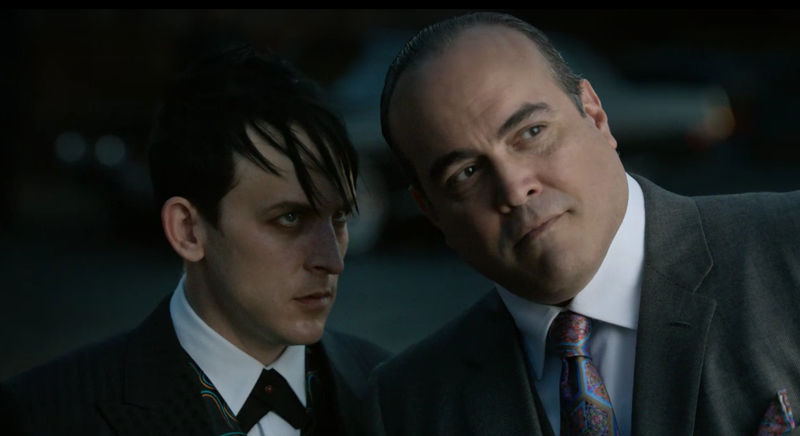 Similarly, Oswald appeals to both Falcone and Maroni by putting on a front of humbleness when in reality he’s manipulating the situation to achieve his own means. 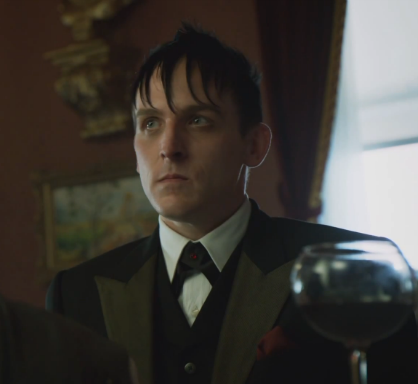 To their faces he shows respect, but behind their backs Oswald believes he’s the best man to take their place. According to his logic, one way to weaken both sides is to pit them against each other while making his own moves behind the scenes, much like the way Tony pits Lopez and Sosa against each other while building his empire on the side. 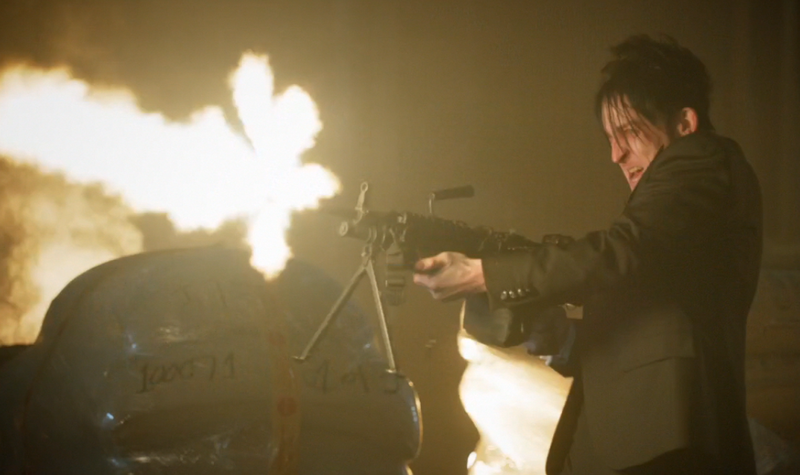 For Tony, this didn’t work according to plan, but for Oswald, this turned out to be his crowning moment in the first season’s finale. I come from the gutter. I know that. I got no education… but that’s okay. 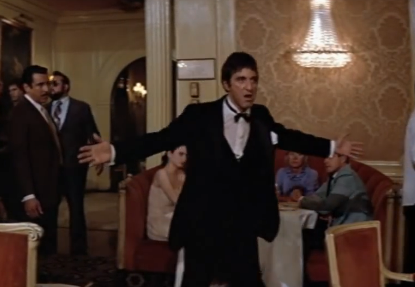 I know the street, and I’m making all the right connections…I could go right to the top. On “Gotham” (as well as in the comics), we learn that Oswald was bullied as a youth without just cause and clearly wasn’t popular among his peers. Similarly, Tony endures open mistreatment simply for being Cuban; thus, both men come from the “gutter,” a place of low social standing. They also both face possible death when their first grab for power goes awry but use the experience as a lesson in how to never again allow themselves to be powerless. This wisdom enables them to each make a name for themselves by using people and circumstances to their advantage: they know the underbelly, the “street,” so as to make connections that will enable them to climb to the top. You gotta make the money first. Then when you get the money, you get the power. Then when you get the power, then you get the women. Who put this thing together? Me, that’s who! Who do I trust? Me! Persons in power don’t like to share power, so Tony and Oswald ultimately put their trust in no one but themselves. 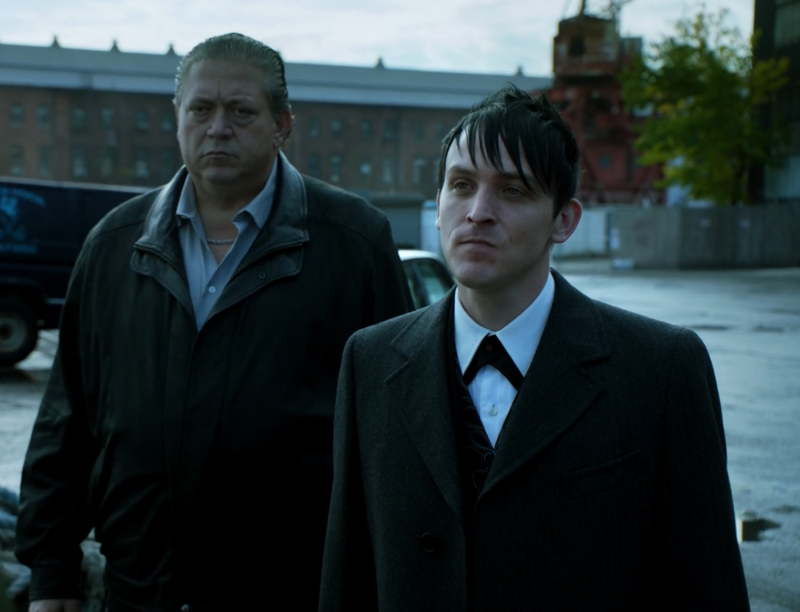 Granted, Oswald appears to trust Jim Gordon but even that has its limits, just as Tony initially trusted Manny. 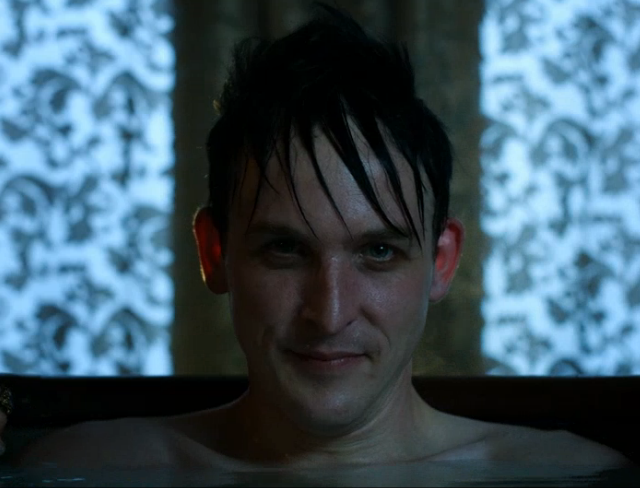 Interestingly, when Tony and Oswald discuss who they trust, these topics come up when each gent is in a bathtub. Water is a symbol for transparency, and in both scenes we catch glimpses of Tony and Oswald’s inner characters but not a clear reveal. They’re in opaque water, implying veiled transparency. Tony is covered in bubbles, which are nothing but pretty air, much like he’s surrounded by empty trappings of a “powerful” lifestyle. In the same way, Oswald pretends to be honest with his mother but his attempts at moral clarity are as foggy as the water he bathes in. You don’t have the guts to be what you wanna be. You need people like me. You need people like me so you can point your…fingers and say, “That’s the bad guy.” So what does that make you? Good? You’re not good. You just know how to hide, how to lie. Me, I don’t have that problem. Me, I always tell the truth. Even when I lie. This is probably the best parallel between Tony and Oswald in terms of internal character and external influence. Both men possess a deep-seated ambition stemming from a desire to be respected and admired. They display a sense of boldness to be what they ultimately want to be – men of power. Their respective fictional landscapes actually “need” them, giving them a purpose to exist, in order to showcase the futility of materialism (in Tony’s case) and the need for law and order to keep crime and chaos in check (in Oswald’s case). Very few supporting characters in either fictional setting are entirely good, especially the various power holders, as they know how to conceal their sins. But Oswald, much like Tony, doesn’t worry about trying to wear the facade of a good, moral person. He admits he’s honest, but I suspect he, too, is honest even when he lies. You wanna play games? Okay, I play with you…You wanna play rough? Okay. 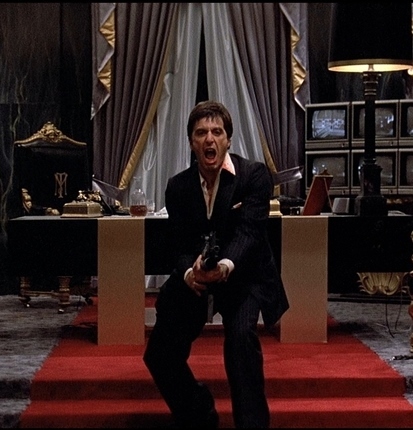 Say hello to my little friend! Not to mention that to go up against Gotham’s crime bosses takes serious guts and a certain degree of over-inflated self-reliance. This ego materializes when Oswald brags about his cleverness and asserts he is going to be a “somebody” though he has a better handle on his ego than Tony does. While bravado drives Oswald’s ambitions, it doesn’t overpower him as it did Tony. While Oswald enjoys being praised by others, Tony often applauds himself. As a brief study of contrasts, when Tony first visits his mother, he calls himself a “good boy” in hopes that she will believe he is a changed man (when he’s not). However, Oswald never calls himself good and, instead, soaks in the praise his mother or others bestow. Just as Tony’s mother sees her son as a bum and a bane to her existence, Gertrude believes Oswald can do no wrong and sees him as her whole world. Thus, Tony’s pride tends to blind and bind him in a way that Oswald’s ego doesn’t. 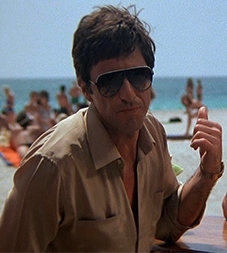 Lopez eventually tells Tony that “the guys that last in this business are the guys who fly straight. Low-key, quiet. But the guys who want it all…they don’t last.” This proves true for Tony, who lets his successes go to his head. 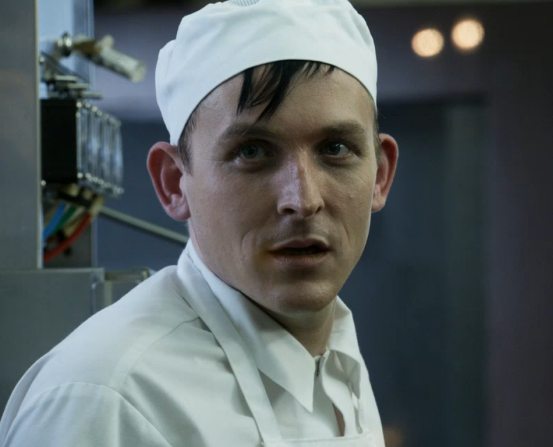 Oswald, though, makes a show of things when he feels it’s required but doesn’t operate that way all the time. He is generally low-key, quiet, pragmatic, and straight-flying (no avian pun intended), and, as such, is still alive. So he’s obviously doing something right that Tony got wrong. But what might that be? For starters, Oswald’s level of ambition is different. 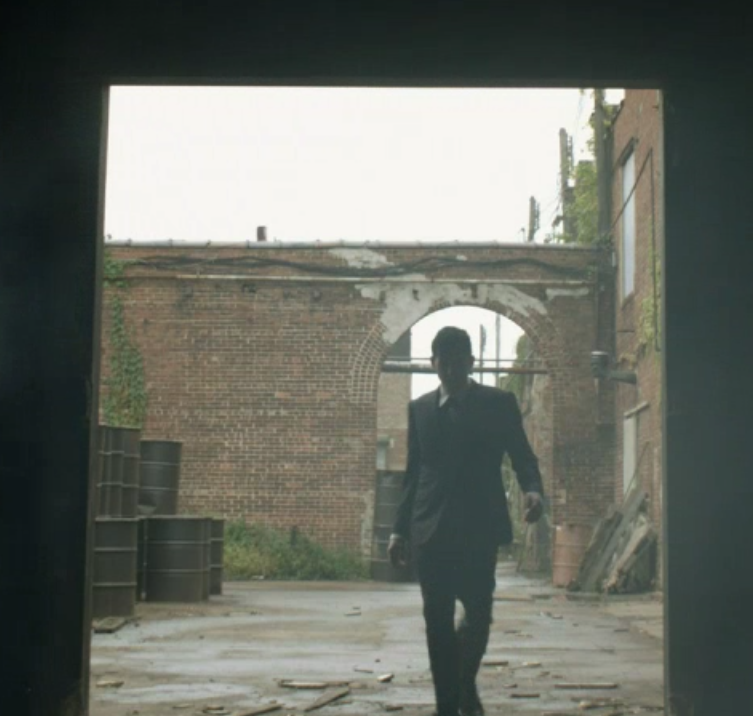 His “empire,” Gotham, already exists, so all he had to do was pave his way to claim its underworld crown. Tony, on the other hand, wanted to create an empire from scratch driven by money with power as an added bonus. Elvira’s remark that “nothing exceeds like excess” proves prophetic, and Oswald’s observation that a man’s greatest passion can incite his own undoing echoes her sentiments. Tony’s downfall is akin to withdrawing blocks from a Jenga tower – as each segment of his life is removed, Tony’s excess-based kingdom crumbles. 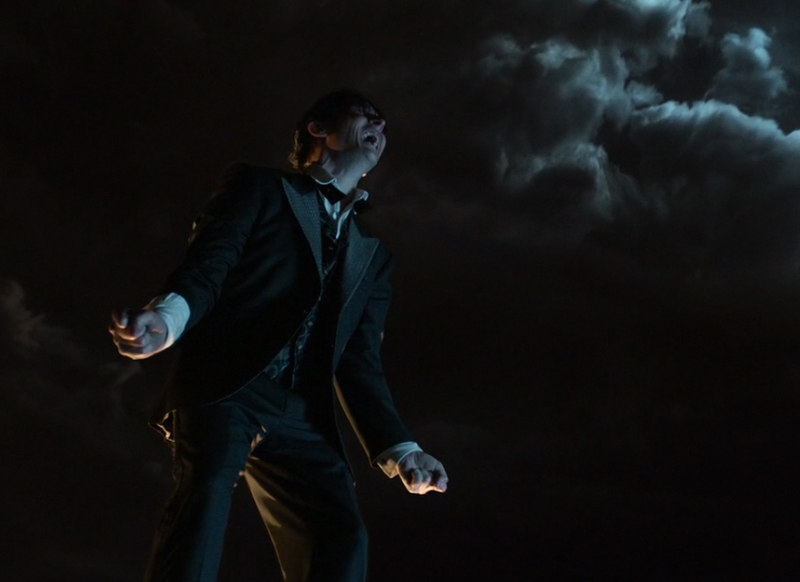 But Oswald’s story starts with destruction and ends with a rebuilding as he proclaims himself Gotham’s criminal king. Another trait that sets Oswald apart from his fictional counterpart is that he possesses a less selfish heart. 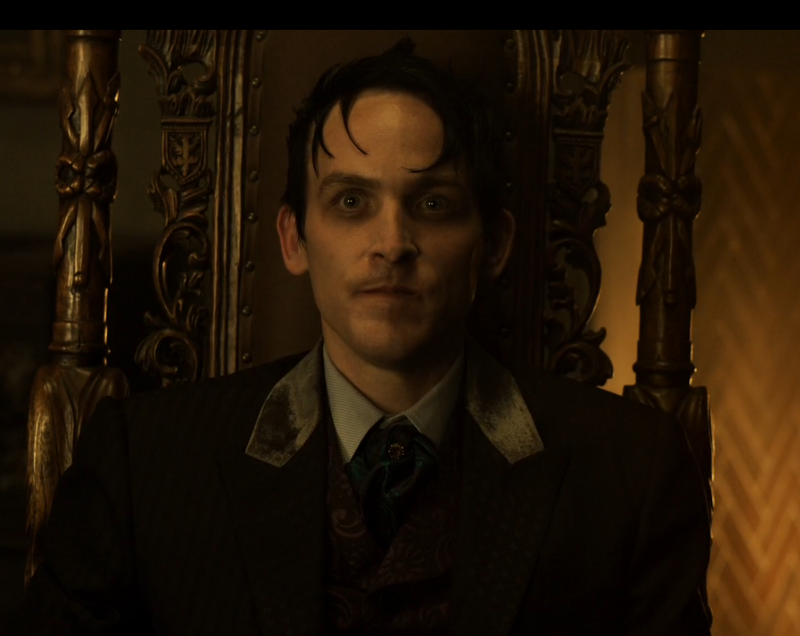 Make no mistake: 99.9% of Oswald’s ploys are to secure his power in Gotham’s underworld. 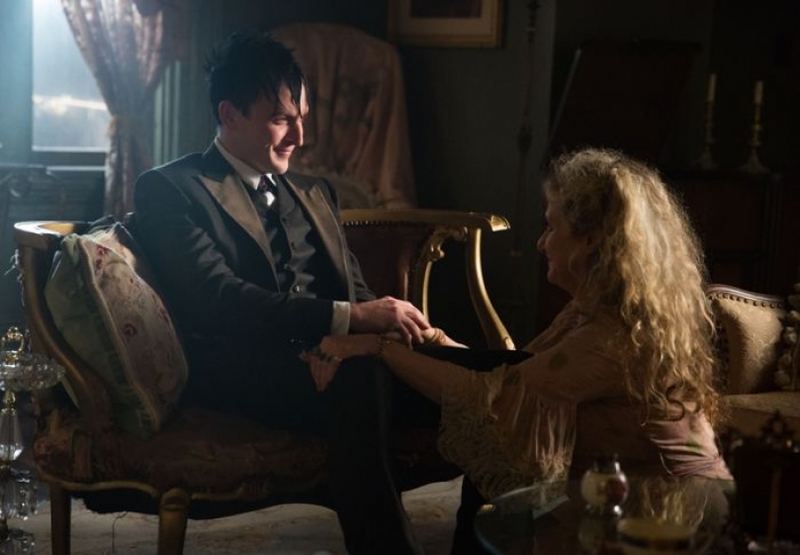 However, in exchange for his mother’s life, Oswald begs Galavan to take his life instead, showing that Oswald cares more for his mother than he does his kingdom. If he was truly selfish, he would have sacrificed his mother to keep the city in his clutches rather than literally kneel before Galavan. 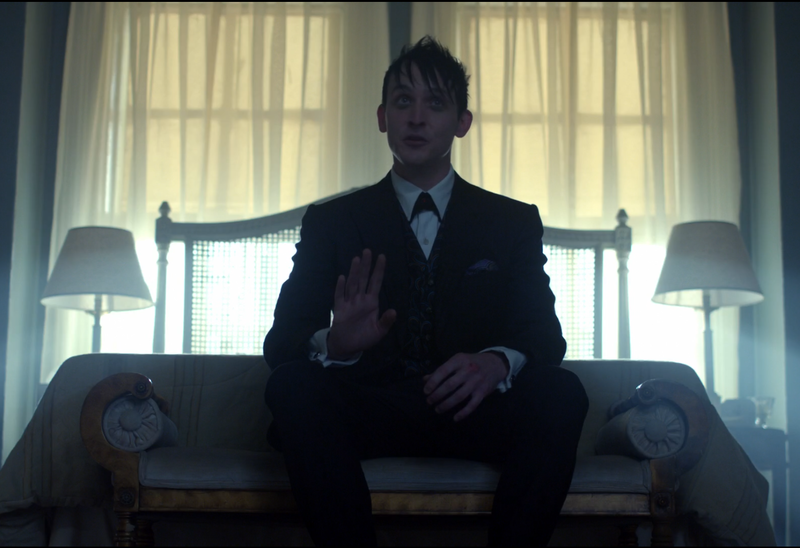 Later on, Oswald admits – when held at gunpoint by Jim Gordon after staging a strike against Galavan’s election win victory party – that he’s made his peace with death. In his mind, seeing Galavan killed, hence avenging Gertrude’s death, means more to Oswald than remaining alive. Never once does Tony lay down his life or even his possessions for another person, and never does he admit he’s made his peace with death. 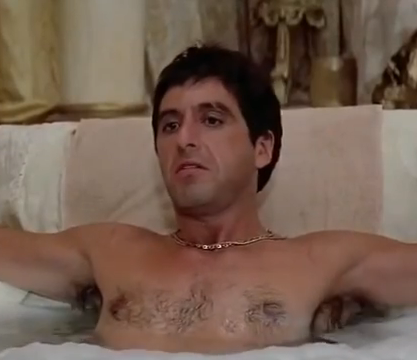 Instead, he clings to his vapid lifestyle, and his fall into the reflective pool at the end serves as a fitting metaphor that Tony drowned in his own opulence. The only sparks of compassion he exhibits, which keep him from becoming a genuine villain, is when he calls out – and calls off – the attack on the ambassador, his attempts to make amends with his mother, and his willingness to let Elvira leave him rather than force her to stay in a loveless marriage. In all of these cases though, Tony never admits he would rather die in another’s stead. 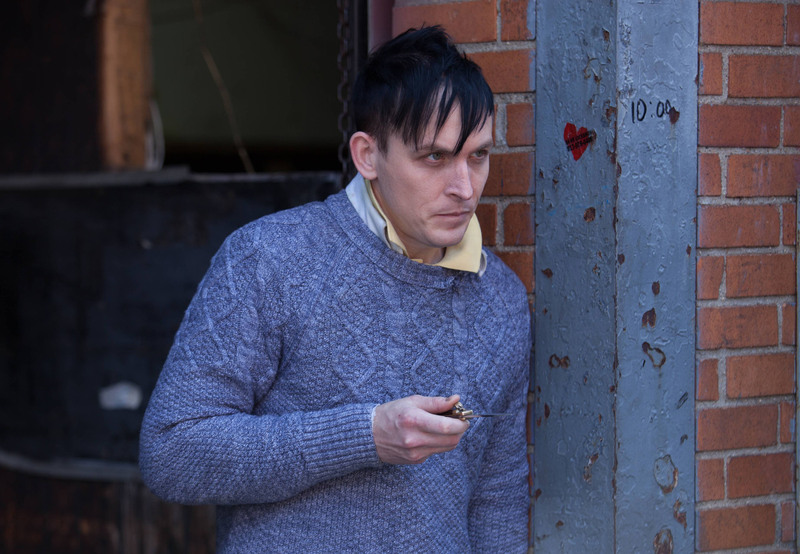 In this way, Oswald Cobblepot comes out as the better man: he’s no white knight hero, but his rare acts of selflessness show that immaterial things – like love and justice – hold a grip on his heart. All in all, it’s interesting to see how much alike – yet also starkly different – these two fictional crime bosses are in terms of their respective stories and development. 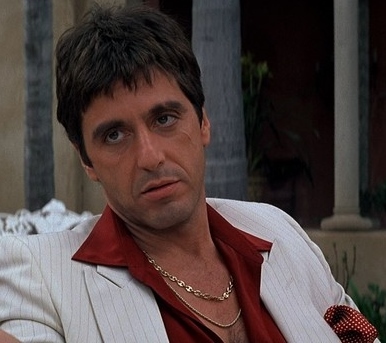 Even though no one would dispute that Tony Montana is, indeed, a master kingpin, Oswald Cobblepot’s rise and attainment of power is admirable in and of itself, but it’s his inner working qualities that set him apart from similar characters like Tony “Scarface” Montana himself. Say hello to our “little friend” indeed!